Amy Jackson, playing Nila — Nice Intelligent Lovely Assistant — in Rajnikanth’s latest 2.0 (2018), says, “vada poche” to great comic effect. It is a joke that only makes sense if you know the reference to a Vadivelu comedy from another film. Nila is perhaps the first robot to indulge in some self-referential pastiche that Tamil cinema humans are neck-deep in. If you have ever taken even the slightest interest in Tamil cinema, you’d know by now that it’s very closely embedded in society and vice versa. I don’t mean the history of chief ministers and other such serious stuff, I mean the omnipresence of Tamil cinema in everyday life. Because I moved to Chennai (from Bangalore — a less cinema-obsessed city) two years ago, I see this more vividly now. News media, entertainment media, social media, and the ever so entertaining meme media — nearly all forms of information we consume is saturated with cinema. It wouldn’t be a stretch if I argued that none of radio, television or magazines would have anything to talk about if cinema didn’t exist from tomorrow, say! But what’s more pronounced is that the impact of cinema of the past on the cinema of the present is also so high that, if the former didn’t exist from tomorrow, new cinema would have much less to say too. At least, more work to do to make people feel. 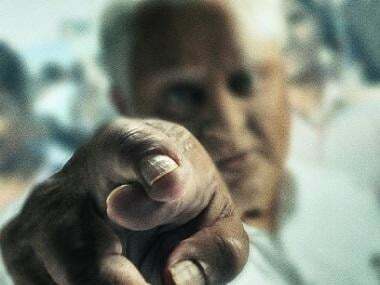 In that, much of today’s Tamil cinema relies heavily on audience’s connection to past films. This is a fairly common postmodern condition — self-reference and pastiche are widely used from Pulp Fiction (1994) to Aaranya Kaandam (2011). 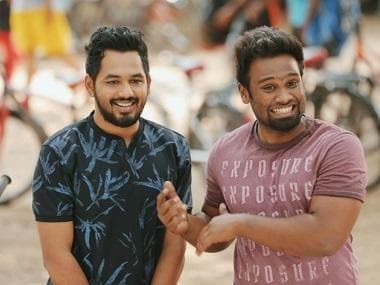 But what popular Tamil cinema does is, it strips these techniques to its bare bones and uses it as a cop-out — “namma culture-ku adapt panradhu” (to adapt it to our culture), which is basically filling the gaps of their laziness/inadequacies with pastiche. Let me start with film titles — the name ‘Ghajinikanth’ instantly tells the audience that the film is about someone with memory problems — referring to Murugadoss’ Ghajini (2008). Now, imagine if the film was called ‘Maradhiyendral Mahaadevan’, you know how that would have sailed! In the upcoming Sarvam Thaala Mayam, GV Prakash being a Vijay fan rallies his fan base towards the film. ‘Kaatrin Mozhi’ continues from the previous collaboration of the actor and the director in Mozhi (2007). Kilambitaangayaa Kilambitaangayaa gives easy recall value to an otherwise star-less film. Re-using a yesteryear successful film’s title implies the star’s blessing — Prashanth’s Johnny, anyone? When done this way, even the well-meaning reference to something in Tamil cinema’s past hangs loose in the air. It doesn’t signify anything within the film’s universe. There is no reason Kaatrin Mozhi is called so, other than it being the first words of a song in their previous film. Radha Mohan and Jyotika are knocking on your nostalgia to fuel expectations for this film. Similar nostalgia fed the very many sequels that released this year: Kalakalappu 2, Goli Soda 2, Tamil Padam 2, Viswaroopam 2, Sandakozhi 2, 2.0, Maari 2 and the — squealing as I write this — Saamy Square! Well, the but-obvious fact is that the basis of any sequel is audience memory. Tamil filmmakers, though, usually have little more than that going for the film. Apart from Viswaroopam 2 and partly 2.0, there is hardly a meaningful continuation of the story, or an extension of the universe, from the previous edition. No, Vikram getting police shock while running into a cop doesn’t count! There is no reason for these films to exist, except for that there is a market for them. This also was the year of Tamizh Padam 2, the first edition of which was a satire of its time. Today, in a world already filled with self-reference, cross-reference and every possible Vadivelu reference, it fell short of being a strong critique of the system. The film was more a celebration of an imperfect system rather than a critique of a could-do-better one. And then there are actors featuring as themselves. Or not. No one can tell. The days of celebrities showing up in songs and dance masters shaking a leg are have given way to a fully integrated character drawing on legacy to make a joke. Senthil in Thaana Sendha Koottam has a petromax light joke. In a 2018 film set in 1986, Senthil plays a role that is interested in petromax light, a continuation of his role from a film made in 1984. Also, this year, real-life father and son Karthik and Gautham Karthik played father and son in Mr Chandramouli. And Naga Chaitanya appeared as his grandfather as Nageswara Rao in Nadigaiyar Thilagam. Referentialism is an important part of any form of art. No one is creating anything entirely new, everyone is building on what exists. In that sense, the continuation that these filmmakers bring needs to be a good thing. It sometimes is — 96 uses Ilaiyaraja’s music to bring to life the time it’s set in. But most Tamil filmmakers use self-reference without the self-awareness it needs. Without context and critical thought, these are just easy laughs. And you are letting them get away with it!